People tend not to show Autumn a lot of love because their usually suffering with post holiday blue's and long for the warm weather to return. But I'm the opposite, as soon as I go back to school I get into Autumn mode, start buying sweaters and wearing the good old boots. The reasons I love Autumn go on and on, but a definite bonus is that it is my birthday in October, so yes I am an Autumn baby which is probably why I like it so much. A close second though is the fashion! I adore the trends that come along with Autumn from the oversized jumpers and blazer coats, to the knee high socks and boots, anything that is comfortable you get away with. All of it I love. One thing that comes along with the fashion is the autumnal colours, the burgundy's, green's, mustard yellow's, black's and grey's all my favourites. I love how interior decor changes throughout all the seasons and when it comes to Autumn all the shades are toned down, the blankets are brought out, the fairy lights are on and everything just feels a lot more homely and cozy. Speaking of homely who here doesn't love cozying up with a blanket and a hot cup of hot chocolate at the end of the day, you can't do that in Summer now can you? (well you could if you really wanted to) I love the misty weather in Autumn, it's not too hot yet still not cold, it's perfect for evening walks out. The whole atmosphere that comes along with Autumn get me in the seasonal spirit and prepares me for the next holiday that I wait for all year, Christmas. 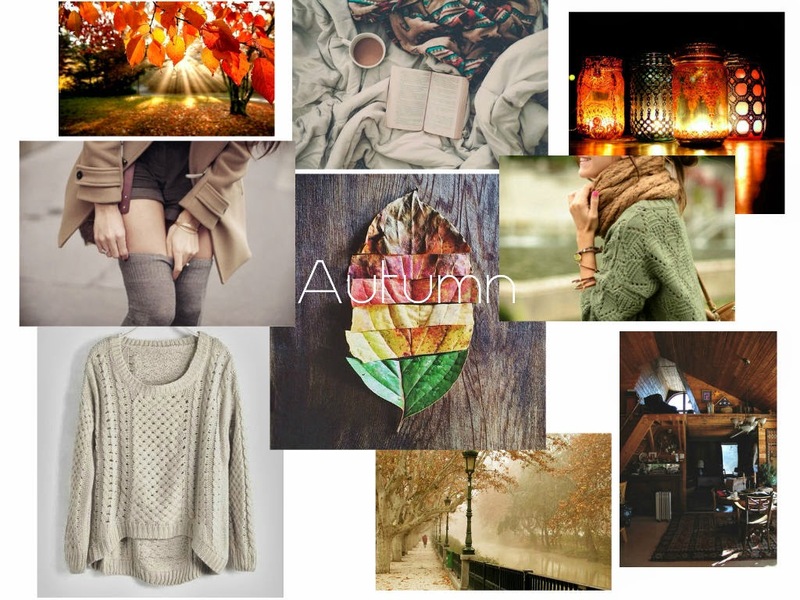 The coziness, the fashion, the weather and the seasonal colours are all reasons to love this time of year. Autumn is my favourite season x i love waking up & it being cold & having a warm drink in the dark evenings!! Also halloween!! Hot chocolates make everything better, lets admit it!